Dubai is a shoppers’ paradise; no trip here is complete without spending a few days in its malls and souks, at the Shopping Festival, or exploring other smaller local markets. I'd heard this statement many times in the past from quite a few people but didn’t understand what all the hype was about, till I actually experienced Dubai’s shopping for myself that is. Despite not being much of a shopaholic, I ended up spending seven days shopping across numerous options that this city offers. 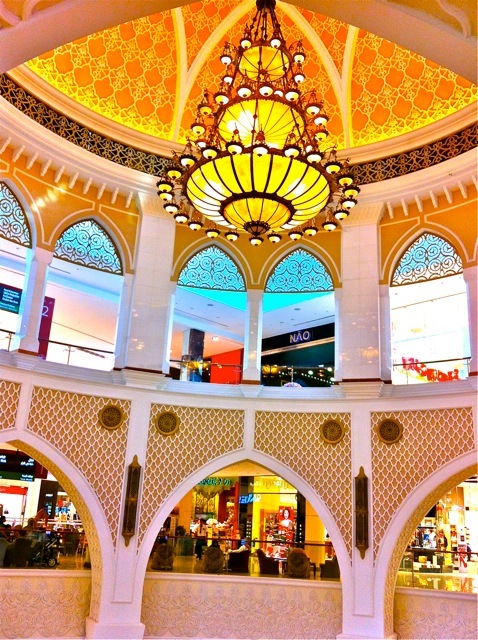 Before the Dubai Mall was built, the Mall of Emirates was the largest mall in Dubai. And, apart from the awesome interiors and shopping, the thing to see here is Ski Dubai, an indoor ski resort (yes, in a desert) inside a mall where you can actually ski, snowboard, toboggan, play with the penguins or just frolic in the snow. This is the largest themed mall in the world and has been designed to celebrate the travels of the Arabic explorer – Ibn Battuta. Over a period of thirty years he visited many parts of Africa, Europe, Middle East, Asia, Central Asia, Southeast Asia and China. In this mall there is one court for each region that Ibn Battua visited, six in total: India, China, Tunisia, Egypt, Persia and Andalusia. They have recreated shops within the architecture of these countries and also included numerous exhibits from these countries. This is one of the oldest malls here and used to be the largest mall in Dubai before the other newer malls were built. It is still a mall that you see a lot of locals shop in. There are also numerous electronic stores here that offer some fabulous deals. Souks are the traditional open-air Middle East bazaars where people come to shop, trade and share local gossip. 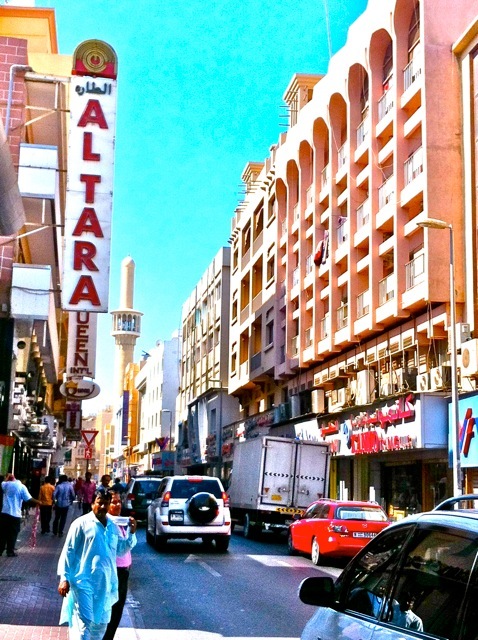 All the present day souks in Dubai are in the vibrant Deira area and a must visit for every shopper. You can start the day with a visit to the colourful Textile Souk in Bur Dubai which has many textile shops with all kinds of fabrics, saris and materials. 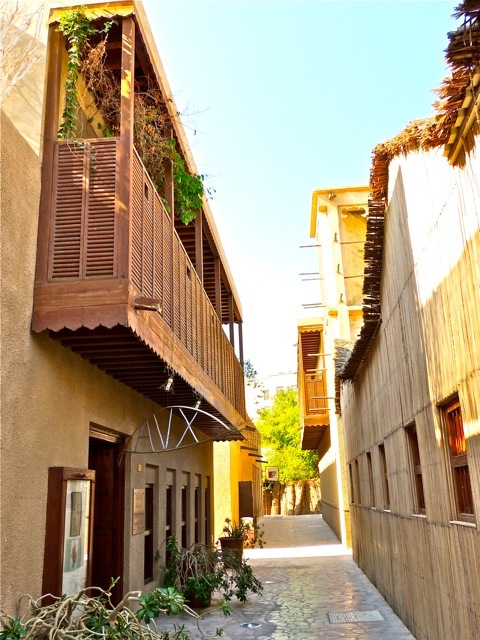 You can then take a local boat (dhow) across the Creek and visit the fragrant Spice Souk. There are shops all around here that sell a variety of spices, fragrances, frankincense, tea, incense, rugs and artefacts. 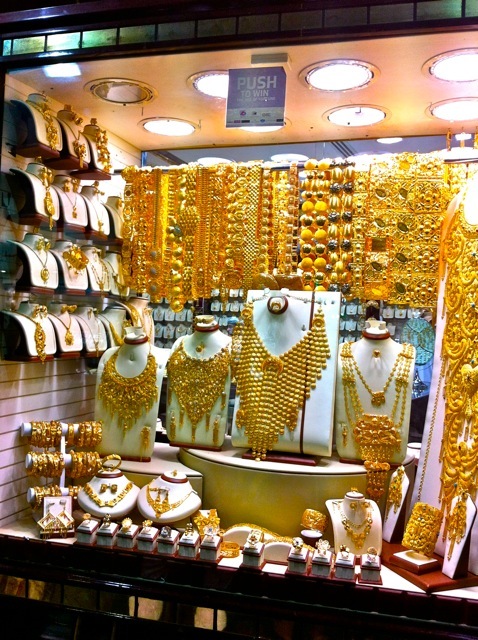 A quick walk from here takes you to my favourite place: the glittering Gold Souk. It is a single-lane market with hundreds of shops on both sides, each decorated with gold hanging in the windows, like it's any other commodity. The sheer magnitude of gold here is mind boggling. But since this is Dubai, souks can also be experienced in style with a visit to the Souk Madinat in the Madinat Jumeirah Hotel. Built like an authentic souk, there are numerous stores here to shop in comfort for fine quality carpets, handicrafts, souvenirs and gifts. XVA HOTEL & CAFE – for its internationally acclaimed art gallery and award-winning vegetarian café. THE MAJLIS GALLERY – This is a premier art gallery that holds arts exhibitions, workshops, for all art lovers. MAWAHEB FROM BEAUTIFUL PEOPLE – This is an art studio for young adults with special needs. Participants can learn artistic skills and develop their self confidence in a relaxed safe environment. They also have an art gallery and a shop that sells cards, paintings, mosaic, cups and crockery. Shopping is such a big thing in Dubai that they also have a Shopping Festival, but like everything else here it’s much more than just shopping. Started in 1996 it is held for a month each January-February. It offers massive discounts, promotions, citywide sales, raffles, entertainment for the kids, film festivals, street fairs and plays with food stalls, fashion shows, nightly fireworks, traditional performances and many cultural activities. A definite must visit. No trip is complete without a visit to the place where the locals shop. Best visited in the evening, start your exploration with a walk around the streets of Bur Dubai where you'll find a mix of local and Asian wares. A short stroll away you'll reach the local Meena Bazaar, which has numerous Indian and Pakistani stores selling traditional clothe and food items. If you're happy to go a bit further, the Asian market of Karama is just a quick taxi drive away and well worth the trip. This post was written by Snigdha, a traveller, travel blogger and an amateur photographer based in Mumbai, India. You can read more on her and her wanderings at Get Set and Go. Why not book one of our Escape holidays to Dubai, or stopover here en route to Australia? Speak to one of our Travel Experts about building your holiday today.